I baked!!! 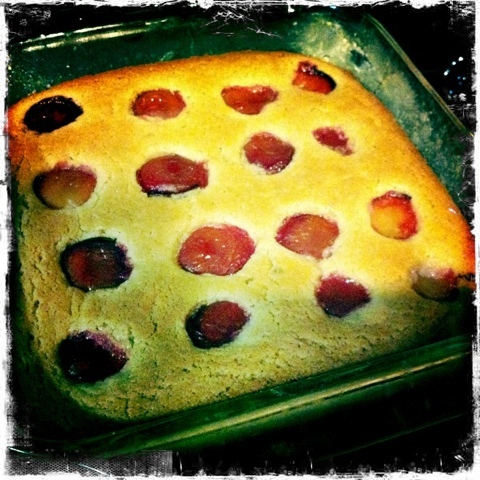 OK – Update: I baked a Dimply Plum Cake, with plums from the tree in our back yard. The plums are on the tart side, but it’s nothing that a dollop of ice cream can’t handle. And here is the recipe! This entry was posted in food on August 3, 2011 by metamegan. Looks like a pepperoni yellow cake! Why no recent posts?? Inquiring minds want to know…. Inquiring minds want to know who won the July comment contest? !